The Guwahati Police on Friday picked up former Assam Public Service Commission (APSC) member Samedur Rahman for his alleged involvement in “irregularities” in selection of Agriculture Development Officers (ADOs). A report published in the The Telegraph stated that the case is registered at Bhangagarh Police Station in Guwahati under Sections 120 (B) (criminal conspiracy), 420 (cheating) and 468 (forgery for purpose of cheating) of the IPC and Sections 13(1) (A) (D) (iii) and 13(2) of the Prevention of Corruption Act, 1988. The report further quoted an official source as saying that Rahman was arrested from his Hatigaon residence and taken to the headquarters of the special branch at Kahilipara here for interrogation. He will be produced in the special court, Assam, here on Saturday. Rahman was arrested in November 2016 in connection with another case related to the APSC recruitment scam but was released on bail last August. 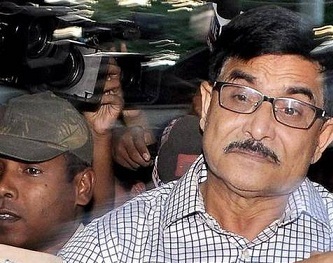 The suspended APSC Chairman Rakesh Kumar Paul, former member Basanta Kumar Doley and APSC employee Sayed Musharraf Hussain were arrested in connection with the Bhangagarh Police Station case earlier. The case was registered in August last year based on a complaint lodged by job aspirant Bedanta Bikash Das accusing Paul and Hussain of demanding Rs 15 lakh from him for the ADO’s post. The advertisement for the ADO posts had been published on April 4, 2013, and the screening test and the viva voce held in August 2015. The result of the selection test was declared on February 4, 2016. Das said Hussain had arranged his meeting with Paul at Satsang Vihar, Bhangagarh, in October 2015 where Paul asked him to pay Rs 15 lakh if he wanted to be selected as ADO. According to Das, he could not get the job because he could not “bribe” Paul.